A personal journey into The Art of Eight Limbs, Muay Thai kick boxing, shot on 35mm slide film. Muay Thai, also known as the Art of Eight Limbs, originated in Thailand. 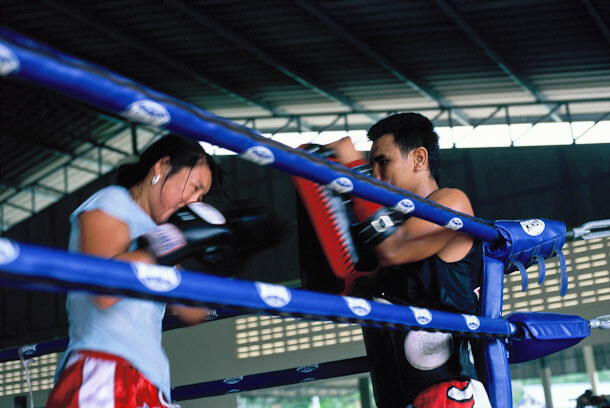 'Thai Boxing' has gained popularity in the west although many westerners do it as a sport, losing sight of the martial art. In Thailand Muay Thai fighters train for 4-6 hours a day, fighting competitively for personal status as well as that of the village they come from.